Norway’s biggest corruption investigation ever, into alleged bribes paid by former top executives of Oslo-based fertilizer giant Yara International, has also set off a much larger international probe to hunt down money from the regime of Libyan dictator Moammar Gadhafi. Oslo newspaper Dagens Næringsliv (DN) reports that it all started in 2012 with an inquiry from a police investigator in Oslo, who was following up on questions raised by the newspaper itself. As Norwegian prosecutors waited this week for a verdict in their case against the Yara defendants, work continues in several countries to track down the Gadhafi regime’s ill-gotten gains. “The Yara case is just a small part of what’s proven to be a much bigger and complex case, and which doesn’t involve Yara or the defendants in the Norwegian case,” Norwegian prosecutor Marianne Djupedal told DN last week. It was in the spring of 2011 that DN sent a long list of questions to the management at Yara in Oslo. One of the questions in particular concerned whether Yara had used any agents or other types of “middlemen” when the company decided to do business in Libya a few years earlier. 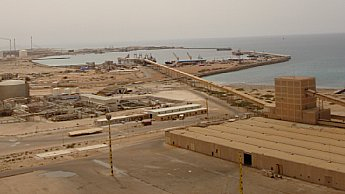 The desire and decision to establish a fertilizer plant in Libya had been nurtured when Norsk Hydro veteran Thorleif Enger was chief executive of Yara, which had been spun off from Hydro in 2004. Enger’s top management team including Ken Wallace, Daniel Clauw and Tor Holba had made it happen. Enger retired in 2008 and Wallace and Clauw left the company before new management took over and completed the Libya deal in early 2009. All four of them were later indicted and put on trial earlier this year for paying bribes to the son of Gadhafi’s former oil minister. The former minister himself was later found dead after fleeing to Vienna. The questions posed by DN to Yara ultimately prompted Yara’s new management to contact Norway’s economic crime unit Økokrim itself. Perhaps believing that the best defense is a good offense, Yara shared its own suspicions with Økokrim. 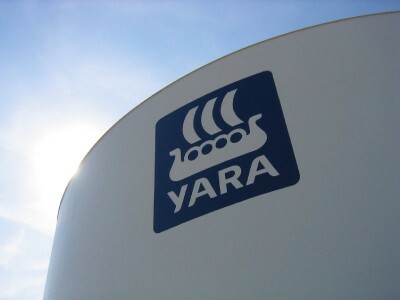 Both Yara and Økokrim launched their own investigations, resulting in Yara accepting the biggest fine ever levied on a company. Paying the fine meant that Yara did not contest the charges and could move on. Its former top executives were left to defend themselves against the corruption charges that they all vigorously deny. They claim they didn’t pay any bribes, only legitimate bills submitted by agents and consultants for ordinary assignments. The steps allegedly taken to disguise the payments, however, stoked suspicions. After a series of raids, Norwegian prosecutors finally found proof of a payment of USD 1.5 million made by one of Yara’s cooperating companies in Switzerland into an account at Swiss bank UBS. Cooperating Swiss prosecutor Jacques Rayroud was able to find out who controlled the UBS account that belonged to a company registered in the British Virgin Islands. Its real owner was Mohamed Ghanem, son of Gadhafi’s former oil minister Shukri Ghanem. “For us that was a breakthrough,” Norwegian prosecutor Djupesland told DN, since it provided what she believed to be the first real evidence of a bribe. For her colleagues in Switzerland, DN reported, their work was only just beginning. Both of the Ghanems had accounts at UBS, and more companies registered in tax havens emerged. Large sums of money had flown into the accounts from companies all over the world. The USD 1.5 million from Yara of Norway was seen as small change in comparison with what others had paid to Ghanem, including a hedge fund in the Netherlands called Palladyne. DN reported how that set off another major inquiry into allegations that Palladyne managed around USD 300 million on behalf of the Libya oil fund LIA (Libyan Investment Authority). Swiss prosecutor Rayroud also soon found out that Palladyne was run by Ismael Adudher, married to Mohamed Ghanem’s sister. Then Rayroud got help from prosecutors and police in the Netherlands.